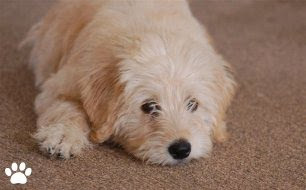 Another gorgeous shot of Tug, an Australian Labradoodle Puppy from an Australian Labradoodle Breeder in South Carolina. He is a beautiful Cream color and has a nice soft fluffy coat. Your heart would melt if you met Tug, the Australian Labradoodle!! !